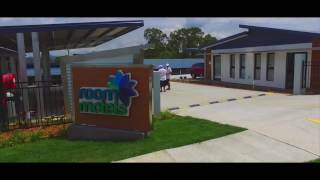 Room Motels Gatton is the Lockyer Valley’s newest motel – with friendly and affordable accommodation in Gatton for corporate and leisure travellers. Room Motels Gatton has 39 thoughtfully designed rooms for all occasions, restaurant quality food and a range of excellent guest services that will keep both business travellers and holiday makers coming back time and again. Their room types include Executive European inspired King Rooms, King/Single Rooms, Deluxe King/Bridal Suites, a Triple Room as well as multiple Disabled and dedicated Pet Friendly Rooms. They have also extended the motel and can now offer Queen Rooms for solo travellers! Room Motels Gatton features include Free Undercover Car Parking, Free Wireless Internet Access, Room Service Breakfast and Dinner as well as Packed Crib Lunches, a Guest Laundry and they also offer a Laundry Service. Conveniently located opposite Gatton's own cultural centre where all of your conference needs will be well and truly satisfied. Boasting barbecue facilities and a garden, Room Motels Gatton is set in Gatton. This 4-star motel offers room service. Free WiFi is at guests' disposal. The rooms in the motel are fitted with a kettle. Rooms are complete with a private bathroom equipped with a shower, while certain rooms at Room Motels Gatton also offer a seating area. At the accommodation the rooms have air conditioning and a flat-screen television. Breakfast is available each morning, and includes continental, à la carte and vegetarian options. Toowoomba is 31 kilometres from Room Motels Gatton, while Ipswich is 49 kilometres from the property. The nearest airport is Toowoomba City Aerodrome Airport, 35 kilometres from the motel.